LIQ861 is an improvement to United Therapeutics' Tyvaso for the treatment of pulmonary arterial hypertension (PAH'). United Therapeutics has several approved medications and several more in development including best-in-class ralinepag and Tyvaso Technosphere. Liquidia's cash will fund operates into 2020, however additional cash will need to be raised. The lead product LIQ861 is being developed for the treatment of pulmonary arterial hypertension (PAH'). LIQ861 is an inhalable dry powder formulation of prostacyclin analog treprostinil that will compete against - if approved - currently approved mist form of treprostinil Tyvaso marketed by United Therapeutics (UTHR). Liquidia's PRINT technology will give LIQ861 advantages over Tyvaso, such as: enhancing deep-lung delivery, achieving higher dose levels, and delivered through a disposable dry powder inhaler (DPI'). Tyvaso uses an electric nebulizer that requires daily cleaning making portability inconvenient. In March 2017, LIQ861 completed a phase 1 dose-escalation study in 57 healthy volunteers. The study demonstrated all doses were well tolerated including the 150 mcg dose - which is approximately twice the maximum recommended dose of Tyvaso. The two-month results of the INSPIRE trial are promising for patients with PAH. Inhaled therapy offers the benefit of getting drug directly to the lungs and we are encouraged that the safety, tolerability and quality of life metrics suggest that LIQ861 is an attractive and more convenient therapy versus the currently available inhaled therapies. Liquidia is targeting a new drug application (NDA') in late 2019. Tyvaso revenue is approximately $100 million per quarter; if LIQ861 can capture a small percentage of Tyvaso's market share that would be relatively significant for Liquidia. If LIQ861 is approved, it will have to compete against PAH market leader United. United has four approved products with different routes of delivery: Remodulin - continuous and intravenous; Tyvaso - inhaled; Adcirca - oral; and Orenitram - oral. United's pipeline includes several additional pipeline products that includes continuous: intravenous implantable pump, subcutaneous semi-disposable system, and subcutaneous disposable PatchPump system. 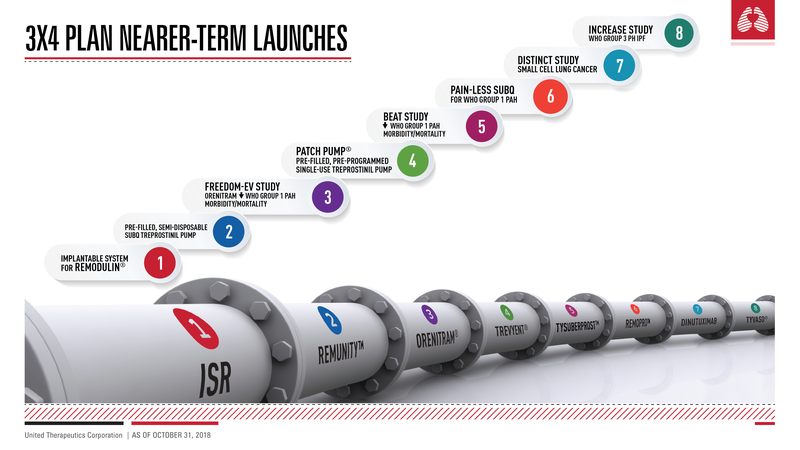 Two other notable United PAH pipeline medications: once-daily oral ralinepag licensed from Arena (ARNA) with anticipated 2021 launch, and Tyvaso Technosphere licensed from MannKind (MNKD) with anticipated 2021 launch. Ralinepag has been touted as best-in-class by Arena's management: the licensing deal of $1.2 billion seems to validate that opinion. Tyvaso Technosphere is another dry powdered formulation of treprostinil that will likely replace mist form of Tyvaso. Total assets: $49.418 million; which is inclusive of $39.534 in cash. Research and development expenses: $28.699 million. General and administrative expenses: $8.754 million. Net loss: $53.135 million or $7.51. On March 25, 2019 Liquidia announced it completed a sales of 3,000,000 shares for net proceeds of $31.7 million based on public offering price of $11.50 per share. In addition Liquidia granted underwriters the option to purchase up to 450,000 additional shares. Liquidia's lead product for PAH, LIQ861, is an improved version of United's mist Tyvaso. United has four approved PAH medications, and several new medications and products in development including: best-in-class, once-daily oral ralinepag with 2021 anticipated launch. 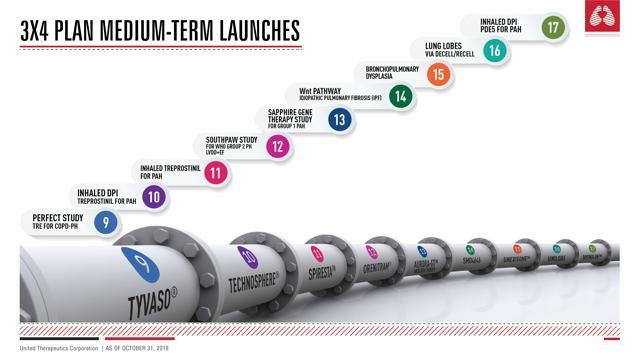 If Liquidia can launch LIQ861 by early 2020, LIQ861 will have a year head start before United's nearly identical dry powdered Tyvaso Technosphere is launched. Liquidia will need to grab market share and maintain if it expects to survive. Liquidia's 2018 expenses of ~$38 million is approximately equal to Liquidia's 2018 ending cash balance. If 2019 expenses remain unchanged; Liquidia's recent public offering raised enough cash for it to operate into 2020. If Liquidia is unable to partner LIQ861 and intends to market it, expenses will rise with the hiring of sales, marketing and support staff. For the company to market LIQ861 they will have to raise additional cash, most likely through additional share offerings, and or debt. Liquidia is speculative because of its finances. LQ861 will need to capture market share from PAH Goliath United; that will not be an easy task. If you are invested or contemplating investing in Liquidia, make it small. The risk of failure is high. Disclosure: I am/we are long LQDA. I wrote this article myself, and it expresses my own opinions. I am not receiving compensation for it (other than from Seeking Alpha). I have no business relationship with any company whose stock is mentioned in this article. Additional disclosure: I am long 10 shares.